FixThePhoto offers you a bundle of 10 free HDR presets for Lightroom you can use for editing real estate, interior, landscape, and portrait photos fast and professionally. 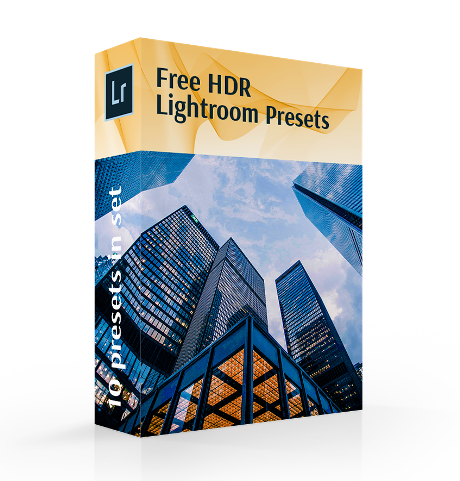 We know that it is quite difficult to find high-quality free Lightroom preset bundles that show results and realistic Wide Dynamic Range, and want to help you with it by providing HDR Lightroom presets for free. These adjustments concern the balance of lights, color tones, increased saturation, luminosity, intensity, altogether creating a professional HDR filter to highlight the subject of your shot in the most appealing way. Our HDR Lightroom presets were carefully designed by professional photographers, so you will be able to save your time but not compromise the quality of the pictures. Simply find the perfect HDR in Lightroom preset below that will fit best for the subject and style of your photoshoot and watch it adjust all the main settings for you in one click. LR Preset #1 "Black and White Medium"
Lightroom HDR Preset #1 "Black and White Medium"
This Lightroom HDR preset makes your photos professionally edited in monochrome and vintage style. Highly recommended for street, car, and architecture photographs taken in gloomy weather to give images a dramatic photo effect. Lightroom HDR Preset Free #2 "Hard"
Free HDR presets for Lightroom of this kind are used to create a dark vignette around photos` edges. Highly recommended those photos that have varied details that may disturb and distract people`s focus from the main central subject. Preset Lightroom HDR Free #3 "Landscape"
The main goal of such HDR Lightroom presets is to emphasize the juicy colors and atmosphere of freedom at street and landscape pictures. This is a high contrast effect that will make any shot breathtaking in several clicks. Preset Lightroom HDR #4 "Film"
This HDR preset is a kind of cinematic Lightroom presets free that are widely used by travel photographers. It is hard to find what type of photos this effect will be perfect to, so simply experiment with all of them for getting unique results. HDR Effect Lightroom Preset #5 "Sepia"
If you want a realistic HDR portrait or a dramatic night street photograph, download this creamy b&w filter. Make your photo vintage and pop in several clicks. HDR Lightroom Preset Free #6 "Cold"
This kind of Lightroom HDR presets use blue hues to either compensate the excessive reds and yellows of the shot or make an icy, wintery look. It works great on architecture photos with many lights but should be carefully applied to portraits. HDR Preset for Lr Free #7 "Warm"
In contrast to the previous free preset, the Warm HDR presets Lightroom allows to make a photo brighter and softer. This works well on portraits, although you might need to adjust saturation to avoid unnatural skin tones. Lightroom Preset HDR #8 "Bright"
Slightly darkening the edges and highlighting the image center this high dynamic range Lightroom preset offers a vibrant clear look. It can work in many genres, but portraits might require more adaptation to maintain the model’s natural look. Highly recommended for night and neon photographs. HDR Lightroom Preset #9 "Architecture"
Works especially well on real estate and travel photography, bringing attention to every detail of the shot. Highly contrasted picture with prominent lights and shadows is what you will get with this Lightroom effect as a result. Make clouds especially dramatic. Free HDR Lightroom Preset #10 "Sunshine"
Works well on portraits with a landscape background and is among the best summer Lightroom presets with natural High Dynamic Range effect. The Sunshine Preset balances the photo and then applies warmer shades with increased brightness. The HDR presets for Lightroom we offer in this free bundle are simple to use for beginners and have a high-class finished look for experienced photographers. In one click you can apply the carefully balanced settings and if for some reason they don’t perfectly fit you, adjust them as you need. Each of the offered dramatic effects has been designed by specialists who work with HDR in Lightroom for many years. The results will be realistic but highly artistic and vibrant, and you have all the control in this process. The free Lightroom HDR presets by Fix The Photo always offer professionalism and high-quality. Want to get more HDR presets for Lightroom? Check out what we have.